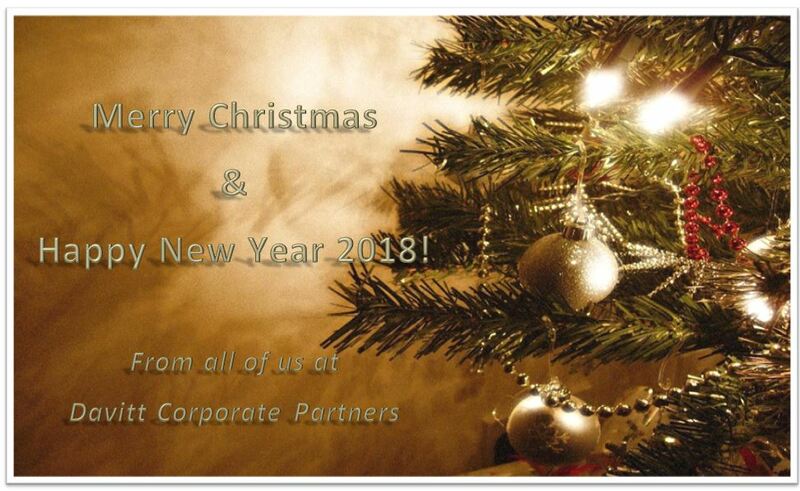 Davitt Corporate Partners would like to wish you a Merry Christmas and a prosperous New Year. Please note that our offices will be closed from 1.00pm on Friday the 22nd of December 2017, reopening on Tuesday the 2nd of January 2018. We will have very limited access to email during this period. Should you need to contact us urgently, you can reach Adrienne Davitt on 087 242 9120 or David Keane on 086 836 1036. This year we supported ReachOut.com, Dogs for the Blind, World Vision, Girl Rising, Avaaz, and Anthony Nolan Trust.